Many smaller businesses do not believe that it is worth investing in search engine optimisation because it cannot work for them. This simply isn’t true. Where businesses are operating in a defined geographical catchment area, a different approach to search marketing needs to be taken. Having worked on a wide range of localised search marketing campaigns, we understand the geographical variations that occur and how to deliver results consistently for our clients. A fundamental part of developing an effective localised search campaign is understanding the searcher’s behaviour. It seems obvious, but many agencies seem to omit this step. The language and scope of searches vary depending on what is being searched for. For example, commonly found trades such as plumbers and electricians are searched for on a very localised basis. For example, ‘plumbers in Guildford’ and ‘electricians in Haslemere’. More specialist trades are searched on wider geographic basis, for example ‘search engine optimisation Surrey’. However, within a business you may have products or services that searchers look for on a different geographical basis to others. For example, ‘puppy training’ typically has a narrow geographical scope (e.g. Guildford), yet ‘dog behaviourist’ is more specialist, so is searched for on a wider geographical area (e.g. Surrey, Hampshire or Sussex). If you want your business to be found by people carrying out locally based searches, then it is important for it to appear in local map results. Google maps is a very popular way of people navigating to businesses and is also used by Google to return results for search queries such as 'coffee shop near me' or 'restaurant near me'. It is these locally based searches that can result in increased footfall to your business and it all starts with making sure that your Google My Business listing has been created and optimised. 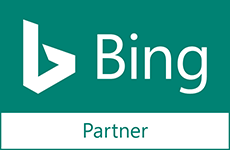 The same goes for your Bing Places for Business listing, which will help your business to be found in Bing map searches. Our team are highly experienced in creating and optimising Google My Business and Bing Places for Business listings that will support your business appearing in local searches. The more your business is found by local searchers, the more traffic to your location and subsequently the greater the chance of securing sales. We’d love to help you find data driven digital solutions to your search business challenge. Contact us today to see how we can help. You probably don’t have an unlimited marketing budget and time to commit to your search marketing and online presence – this is the reality of business! Therefore, choices may have to be made as to which terms you should fight for in your localised organic search optimisation, and which ones are out of your reach. 91% of searchers do not go beyond the first page... This means if your investment is not going to be sufficient enough to out compete your rivals to get on the first page, then it is better to focus your efforts elsewhere. We believe search rankings are about delivering profit to your business, not vanity of placement. There are alternatives to localised organic search. For example, geographically focused paid search campaigns can be very effective at delivering profitable visitors to your website for search terms where your organic search efforts would be best focused elsewhere. We will advise you on the complete range of search marketing opportunities available to you and your business, and how they can be best combined to deliver profitable results and growth for your business. If you would like to improve your organic search rankings through an effective approach to SEO, which includes boosting traffic and increasing your website visibility - why not give us a call today on 0333 772 0509 or fill in the form opposite to see how we can help you. Working with the Cannon team we transformed the organic visibility of the business, both nationally and locally, with implementation of a digital marketing strategy.